A fresh burn from sun, fire or contact with a hot object such as an iron or cooking pan can be painful and immediate care as soon as possible after the incident can help reduce pain, aid in healing and prevent scaring. One at-home way to tend to your burn uses turmeric, which is known for having anti-inflammatory and cooling properties. To get rid of burn marks with turmeric you only need a little water or milk and time to treat the wound. 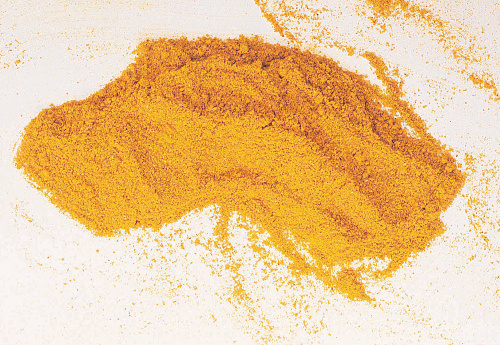 Turmeric can be found in the spice section of many grocery stores. Add into a clean bowl with a clean tablespoon 2 tablespoons of turmeric and 6 tablespoons of cold, distilled water or cold, pasteurized milk. Stir the mixture together to create a paste, adding more turmeric if the mixture appears runny. Apply the turmeric paste with clean hands to your burn to form a coating over the wound. Work gently over the burn to avoid additional pain and do not press the paste downward. Leave the paste to dry if the wound has started to heal and is a day or two old. Wet a sterile cotton pad with cold milk and place the pad over the turmeric paste if the wound is fresh and just occurred. Reapply the paste treatment to the burn three to four times a day for one to two weeks as the burn heals to help prevent the formation of a scar or burn mark.